‘Queen’ Utibe Abasi Nkanga, 41, from Akwa Ibom, is 5’2 in height but that hasn’t stopped her from striding where women fear to tread. 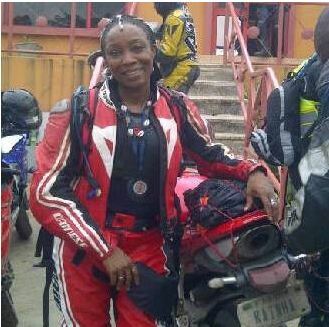 In an interview with Global Women Who Ride, the mother of two who rides a Honda CBR600RR talked about how she started riding and revealed that the daunting Lagos traffic was a big motivation in taking up bike riding. I have always wanted to master the control of machines like planes and jets but couldn’t as the academic structures for such dreams are sadly lacking here. So I settled for learning to master the art of riding. This was as far back as 1986.In the 90s I realized that I could not achieve my dream of being a pilot. In early 2004, I resolved that I would at least have a power bike. 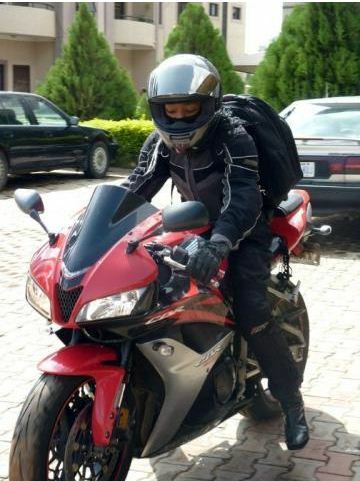 At my place of work some Nigerians and expatriates used to ride to work on their bike which was looked at as very strange and foreign. They would meander and weave their way through traffic while most of us were stuck in nerve wracking traffic in Lagos. When I said I would have my own bike, I saw total disbelief in their body language. In 2009, I took my savings and bought my first bike. It was a 1998 Kawasaki Ninja 250. I wanted to learn on the smallest capacity bike before progressing to something bigger. 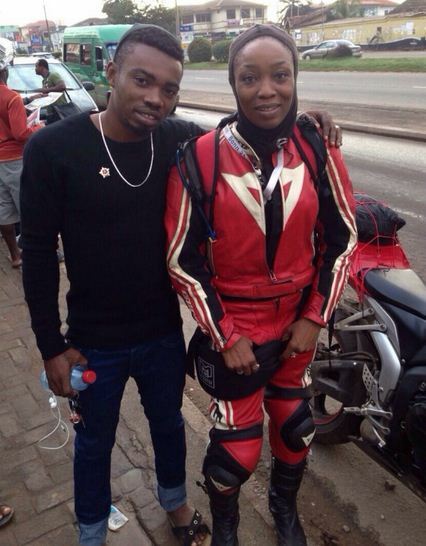 I then called on a biker friend to help me link up with whoever would be willing to teach me to ride. I found a riding school but the instructors did not have any faith that I genuinely would and truly wanted to ride, because women are seen as domestic animals – fit only for domestic chores! It took a while to overcome the fear of the road as I did not know how to drive a car. I also had concerns about my size as I am very petite and even the 250cc felt like a ton! I finally found an instructor who understood and I had to undergo a brief mental training on getting my acquired skills and knowledge to the roads. All this in 2009! Ever since then it has kept getting better.